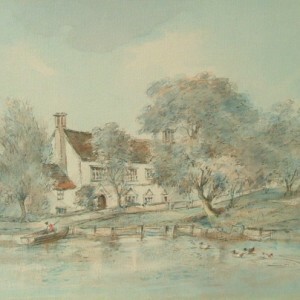 Arthur Edward Davies was born in 1893. 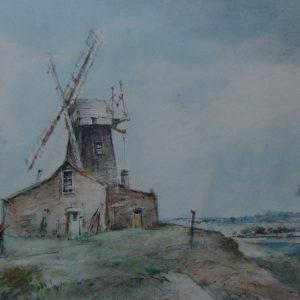 Originally from Pontrhydgroes, Ystrad Meurig in rural Wales, he first visited East Anglia in 1918 and later moved permanently to Norfolk in 1923. 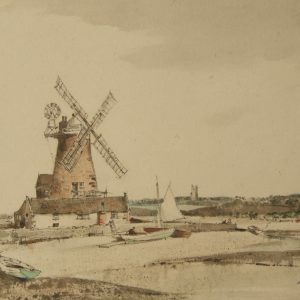 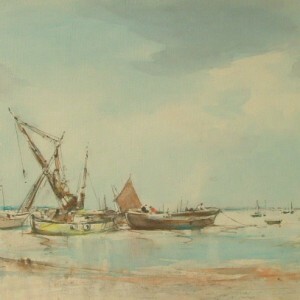 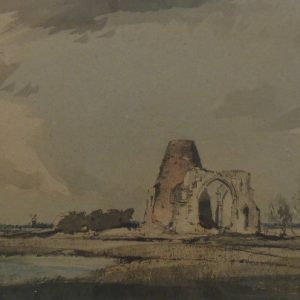 Being captivated by the Norfolk landscape, countless sketches and numerous subsequent paintings were created over a period of over sixty-five years, all depicting a unique record of times past. 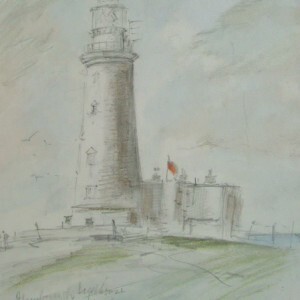 It is as a recorder of our region that Arthur E Davies is greatly respected and best remembered. 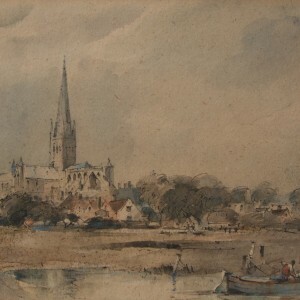 Apart from painting his beloved East Anglia, working trips to London and many main cities were undertaken. 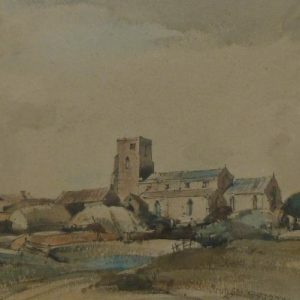 France was also a source of inspiration, as well as frequently returning to Wales and painting the Cardiganshire countryside of his childhood. 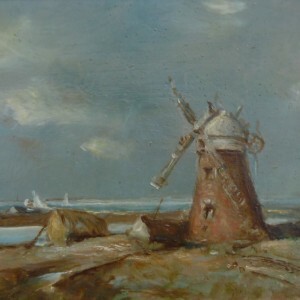 For thirty years he exhibited annually at The Royal Academy and was elected both an RBA by The Royal Society of British Artists in 1939 and an RCA by the Royal Cambrian Society in 1942. 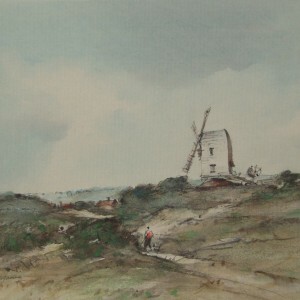 A gentle and modest man, he thought it a great privilege to follow in the footsteps of the famous painters of The Norwich School. 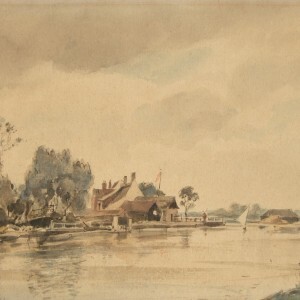 In his youth, many of his friends were the artists whose works are now also highly sought, such names as Munnings, Arnesby Brown, Rackham and Wigg. 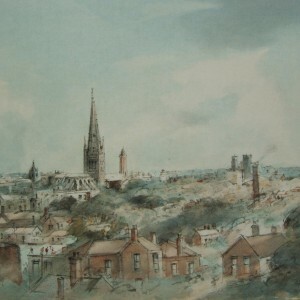 To celebrate the artist’s 95th birthday a special exhibition of his work was held in the Castle Museum, Norwich from March to August 1988 and which he attended the opening by the Lord Lieutenant of Norfolk, Mr Timothy Colman. 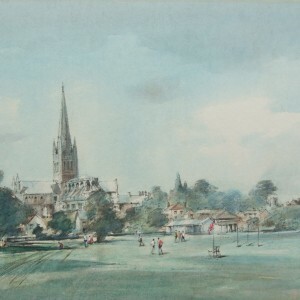 It was shortly after the exhibition opening that sadly Arthur Davies died on the 18th April and his sudden death came as a shock to many who had delighted in the recognition and affection of Britain’s oldest painter. 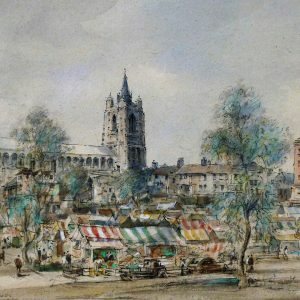 Arthur E Davies has always been an eminent equal to all his contemporaries and, with the passing of such a great artist, the beauty and historical content of his paintings are greatly appreciated. 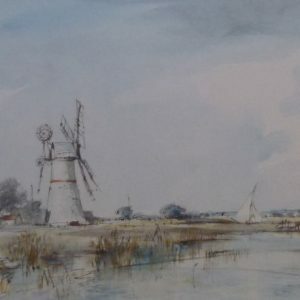 His works are now avidly collected for future generations to view and enjoy our magnificent heritage, so skillfully portrayed by the brush strokes of a master of his craft.